The devotion to Jesus as Divine Mercy is based on the writings of Saint Faustina Kowalska, an uneducated Polish nun who wrote a diary of about 600 pages recording revelations she received about God’s mercy. The revelations emphasize one of the most important attributes of God: His unlimited, unfathomable mercy. Jesus' messages to Saint Faustina is one of hope and joy, most particularly for sinners. No sin is too great for God’s mercy. No sinner is too great for Jesus’ forgiveness. Some of the concrete acts of of the devotion include: praying the Chaplet of Divine Mercy, reciting the Three O’Clock Prayer, as well as celebrating the Feast of Mercy on the Second Sunday of Easter. More importantly, the devotion involves a deep, interior conversion – a true change of life that will entail us throwing ourselves to the forgiving arms of Jesus, the Divine Mercy. 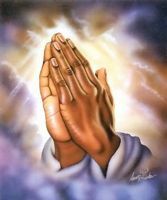 In this section of our website, we give a complete overview of the devotion. The Novena to Divine Mercy starts on Good Friday, and is a very important component of the devotion. An interview with Stanley Villavicencio, the man who was miraculously healed by Jesus the Divine Mercy. 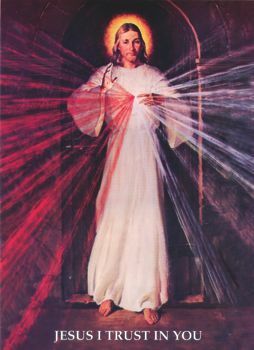 This article summarizes the key highlights of the Divine Mercy devotion. This is the miraculous story of Stanley Villavicencio and how he died, and lived again, for divine mercy. This article contains stories of miracles from Jesus, the Divine Mercy. The Divine Mercy Devotion is the devotion for these last times - Jesus' final act of mercy towards mankind before the day of judgement. These are a series of Divine Mercy messages given by Jesus to Stanley Villavicencio, the Filipino who was miraculously raised from the dead. Here are some beautiful excerpts from the diary of Saint Faustina. The Diary of Saint Faustina is the basis for the devotion to the Divine Mercy that has spread throughout the world. How is the Divine Mercy devotion practiced?